We speak of ITALIAN MERINGUE, essential for creating parfaits, creams or even simply to decorate cakes, mousse and much more. 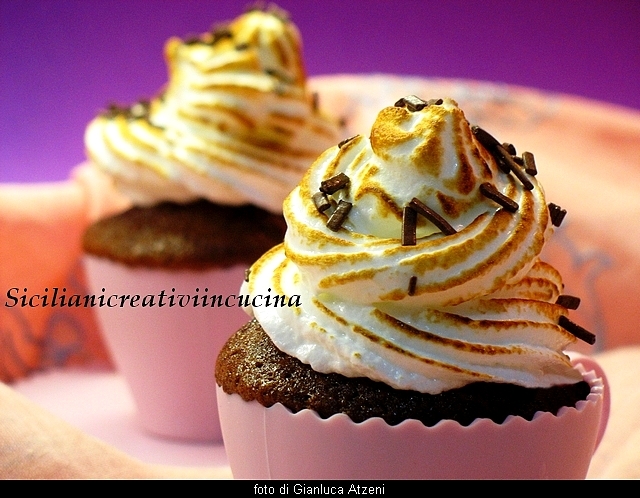 Than the meringue that is done simply by mounting the egg whites with the sugar, the Italian style (they plan to beat the egg whites with a syrup of water and sugar to 121 degrees) has two advantages: is much more stable and the egg is pasteurized. Prepare it is very, the only thing truly indispensable is a meat thermometer, because by 121 degrees don't run. Dosage and recipe are by Luca Montersino. Put into a casserole the water with 200 grams of sugar and cook over high heat until the mixture reaches 121 degrees. Meanwhile, begin to assemble planetary or with an electric mixer in egg whites with the remaining sugar. When the syrup is ready, pour flush on egg whites continuing to mount and continue to work until they are, swollen, frothy, shiny and cold. The meringue you can even freeze . But I don't understand! The meringue should not be cooked in the oven? I am a beginner. Meringue that has turned porous and not shone.